Sassyblack's Instagram page lists that she is a vocalist, producer, storyteller, and DJ. Her Wednesday night set at Replay Lounge proved all of these duties to be true. The Seattle-based renaissance woman is currently on a DIY national tour and stands alone on the stage each night. 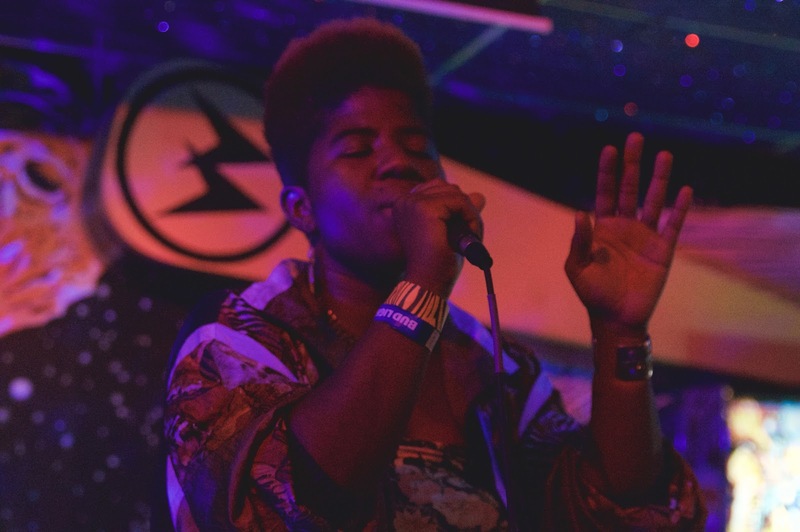 There were moments where her beats ceased to evolve and her lyrics were repeated a couple times too many, but Sassyblack's work ethic and volume of raw talent were apparent to all who stopped in to watch her. Her songs hopped from one style to the next, but each was custom-molded to the friendly, charismatic personality she emitted on-stage. Local support was provided by Khrystal, backed by Duncan Burnett and performing tracks from "Quarter Century Living," and Rick Maun, who gave the waning, late night crowd some tough love and a guest spot from Les Izmore.